So today I picked out a transformation card from my wife’s “The Nature of Infinite Love & Gratitude‘ set. We try to pull out one card a week to see what we should focus on to better improve our lives. This week’s card for me was spot on. I am in the process of moving my Freelance business into an s-corp so lots of changes (and the accompanying challenges) are happening. I though I would share it here 🙂 I hope you enjoy! 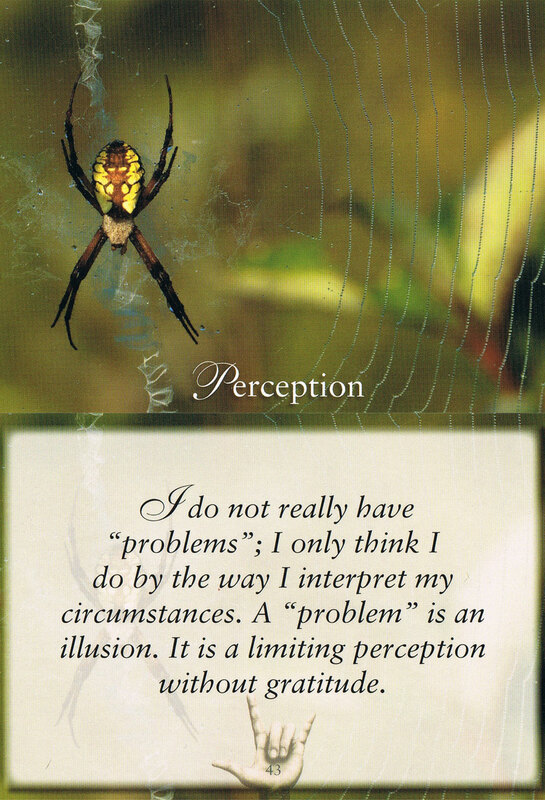 I do not really have “problems”; I only think I do by the way I interpret my circumstances. A “problem” is an illusion. It is a limiting perception without gratitude.